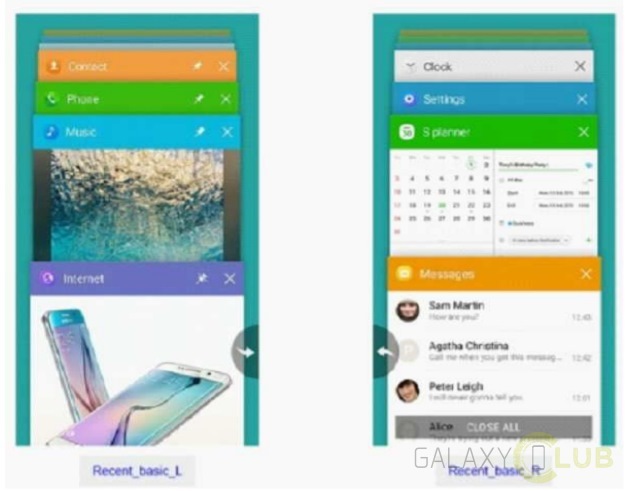 The existence of this code was first discovered by XDA Recognized Contributor deadman96385, a member of the LineageOS team who maintains several builds for Samsung devices. While examining the kernel source code of the Exynos Samsung Galaxy Note 8, he came across a mysterious code-name called “lugelte” in the Device Tree Source (DTS) configuration for the Exynos 8895 power management chip. “lugelte” previously showed up in our list of unannounced 2018 Samsung Galaxy devices, and while many of the other devices on that list have since been announced or we could find additional information on, “lugelte” is the only device which remained unknown to us. What first tipped him off about the fact that “lugelte” might be a foldable Samsung Galaxy device is what he discovered in the display driver—evidence that links “lugelte” to a “dual panel” smartphone. Within the display driver there’s code for a “dual_panel” mode and within there the “s6e3ha2” display panel (the 5.7-inch 2560×1440 16:9 display panel found on the Samsung Galaxy Note 4) can be found. The code for “dual_panel” is only used by the display driver when the flag “CONFIG_EXYNOS_DUAL_DISPLAY” is enabled, which isn’t the case for “greatlte” (the Samsung Galaxy Note 8.) Although there’s no defconfig for “lugelte” (which means that flag isn’t defined for it here), three s6e3ha2 display driver files with the code-name “luge” are defined within the dual_panel folder. Ergo, “lugelte” is using the dual display mode. Reports from South Korean media state that Samsung will have completed display development in March so panel production can take place in September. Mass production is expected to take place in November ahead of a mass-market debut in December or early 2019. The company reportedly showed off a prototype of this foldable smartphone prototype at CES 2018, and according to the report, the device had a 7.3-inch OLED foldable display. 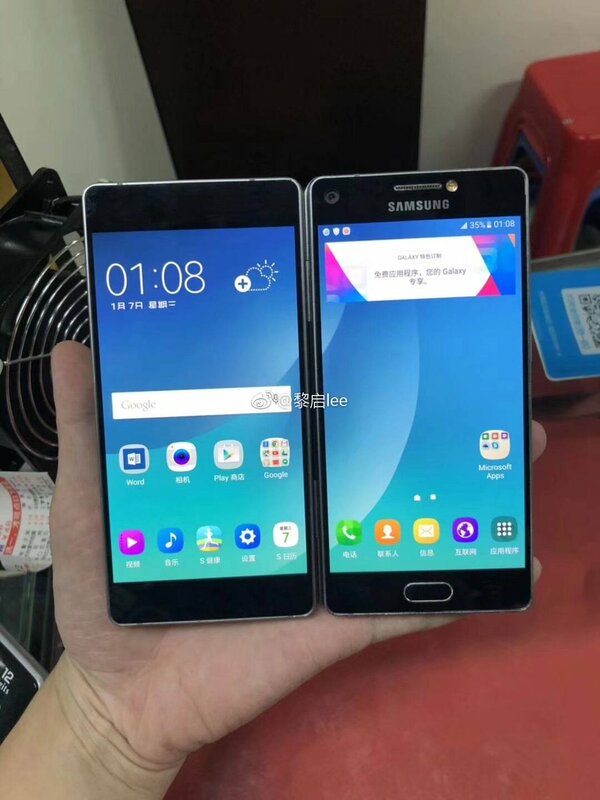 The dual panel “lugelte” model that was discovered in the Samsung Galaxy Note 8’s display driver code matches up with this information when estimating that the size of dual Samsung Galaxy Note 4 panels would be about 7.3-inches. The resolution of “lugelte” when unfolded would then be 2560×2880. So what exactly is “lugelte” then? We suspect it’s the code-name of the Samsung Galaxy X, though right now the code details just one of its possible prototypes. 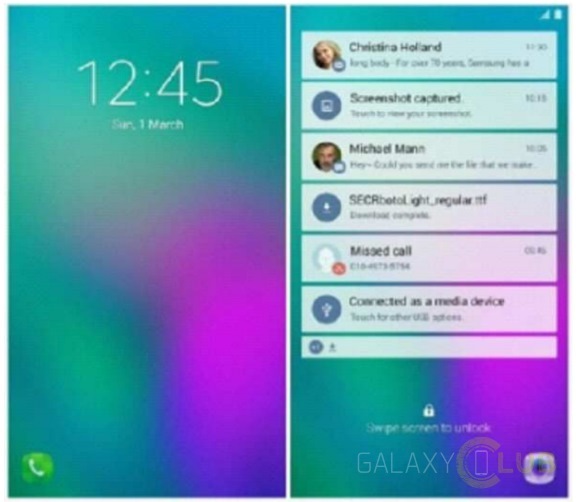 Although, the choice of the last generation Exynos 8895 found in the Samsung Galaxy Note 8 and not the Exynos 9810 found in the Samsung Galaxy S9 or the upcoming Exynos 9820 rumored to be in the Samsung Galaxy S10 is certainly plausible, however, since early estimates put the Samsung Galaxy X at a cost of nearly $2,000. Like the ZTE Axon M which shipped with the Qualcomm Snapdragon 821 rather than the Qualcomm Snapdragon 835, it’s possible that the upcoming Samsung foldable device could ship with the Exynos 8895 to cut down on costs. On the other hand, don’t expect the Galaxy X to actually use the same display panel from the Samsung Galaxy Note 4—after all, a special panel is being made that can be folded inwards at a curvature of 0.1mm, be folded outwards at a curvature of 0.5 mm, and withstand as many as 200,000 folds. Instead, we believe this is merely a device being made for Samsung’s software engineers to develop on. 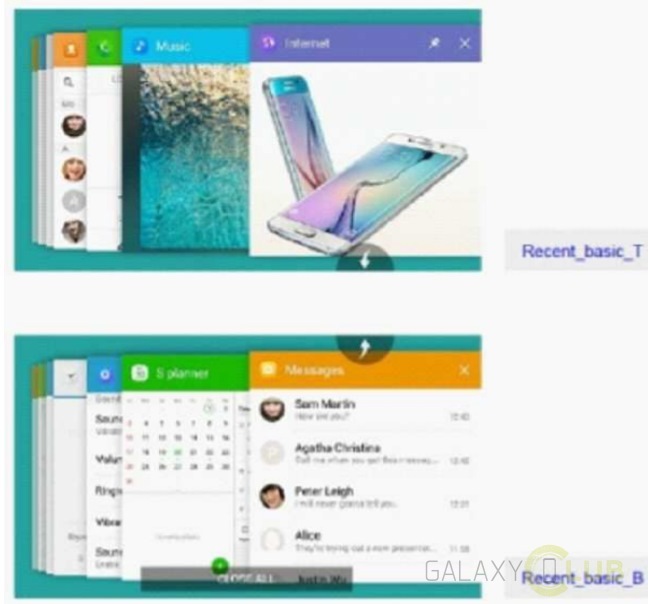 A patent application discovered late last year revealed some details on a potential user interface for a Samsung foldable smartphone. These are merely concepts, however, so if Samsung truly plans on releasing the Galaxy X this year, they’ll need some actual hardware to work on. Given how expensive early prototypes of the device will be, we believe that Samsung may be producing Galaxy X prototypes with the older, but cheaper Note 4 panel to begin designing an optimized version of the Samsung Experience software for the Galaxy X. In an editorial, XDA alum Kyle Wiggers outlined how the ZTE Axon M was setting the groundwork for a foldable phone future. Indeed, ZTE’s VP of marketing told us late last year that the release of the dual screen Axon M was partly aimed at gaining feedback and tweaking their software for a future where foldable smartphones become the norm. In theory, the software experience on a foldable smartphone and a dual screen smartphone separated by a hinge and bezel should be similar, though obviously the former is preferable to the latter. Thus, software development on the Samsung Galaxy X could very well be underway already thanks to a prototype “lugelte” device with two Note 4 panels and the Note 8 SoC. We’ve talked a lot about a mysterious smartphone code-named “lugelte” in this article so far. I’ll summarize briefly our findings and what we’re speculating based off of these findings down below. Within the display driver for the Samsung Galaxy Note 8, references to an unreleased Samsung device code-named “lugelte” appear. This “lugelte” code-name previously appeared in a list of unreleased 2018 Samsung devices. 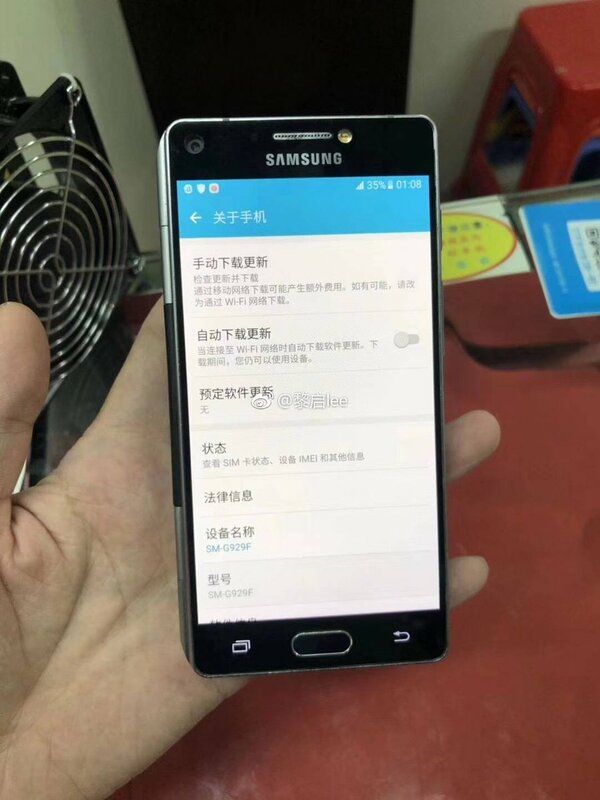 The code suggest that “lugelte” is a dual panel smartphone with both panels being the Samsung Galaxy Note 4’s s6e3ha2 (a 5.7-inch 2560×1440 16:9 panel.) The appearance of this device in the Note 8’s kernel source code suggests that it feature the Exynos 8895 SoC. A quick estimate of the size of two s6e3ha2 panels put together gives us an approximately 7.3-inch 2560×2880 panel when unfolded. We speculate that “lugelte” is the code-name for the Samsung Galaxy X and the code we discovered is for an engineering sample used by Samsung software developers to optimize Samsung Experience for the upcoming device.